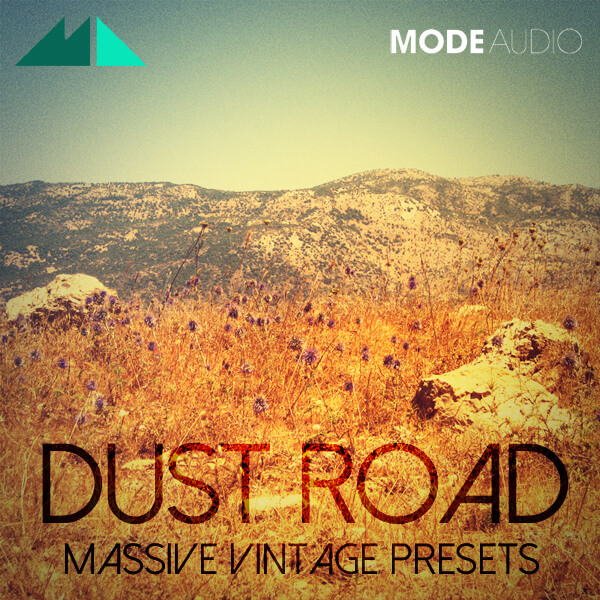 ‘Dust Road’ sees ModeAudio transform Massive from a cold, hard beast into a fuzzy, warm, analog monster! Fed up with the typically fixed and predictable sound of digital audio, we experimented with Massive’s extensive variety of wavetables and dizzyingly complex modulation capabilities to conjure up this set of 50 .nmsv presets and 50 accompanying MIDI loops. Oscillators, filters, effects and even modulators have been spun out of kilter to produce a pack of only saturated, lush, unstable and truly characterful presets. This collection of bass, chord, pad, pluck, lead and classic synth sounds bend pitches, blend waveforms, blur filters and blitz standard routings, all to gorgeous effect. Did you think soft synths were only capable of producing stale, mechanical sounds? Well, think again! We’ve pushed Massive beyond its limits to create presets of unusual personality, swinging, swaying and grooving to their own internal rhythms beneath your very fingers. From sci-fi film soundtracks to the pioneers of downtempo, chill-out and ambitronica, ‘Dust Road’ takes inspiration from the blissful energy that all those worn wires and fickle filters provide. Hear that unique energy come to life and pour it over your music with these presets, each fully adjustable and controllable via 8 macro controls to slot seamlessly into your productions. Light a fire of analog inspiration beneath your tracks and take a trip down the ‘Dust Road’ – you won’t come back empty-handed!